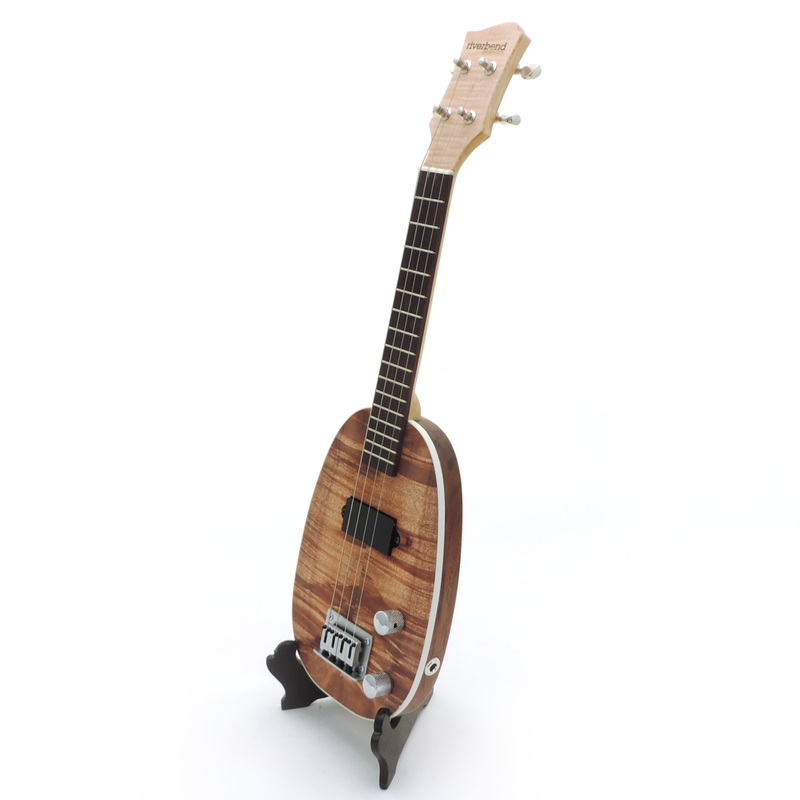 I built this ukulele as a donation for the silent auction for Uke U 6 and all proceeds went to support Rise Up a non profit bringing music to our community by providing ukes to schools in our community. When I found out about this project I knew I wanted to do something really special. 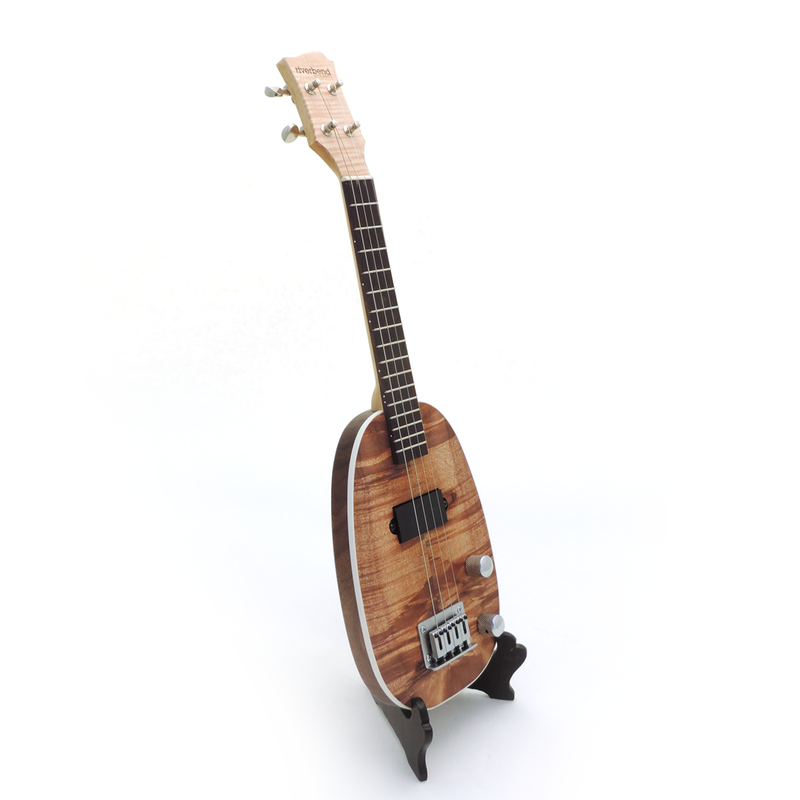 I had a small section of swamp koa left from Tanya’s Electric Uke project (see that uke here), but it wasn’t large enough make a concert or tenor uke in any of my current designs. 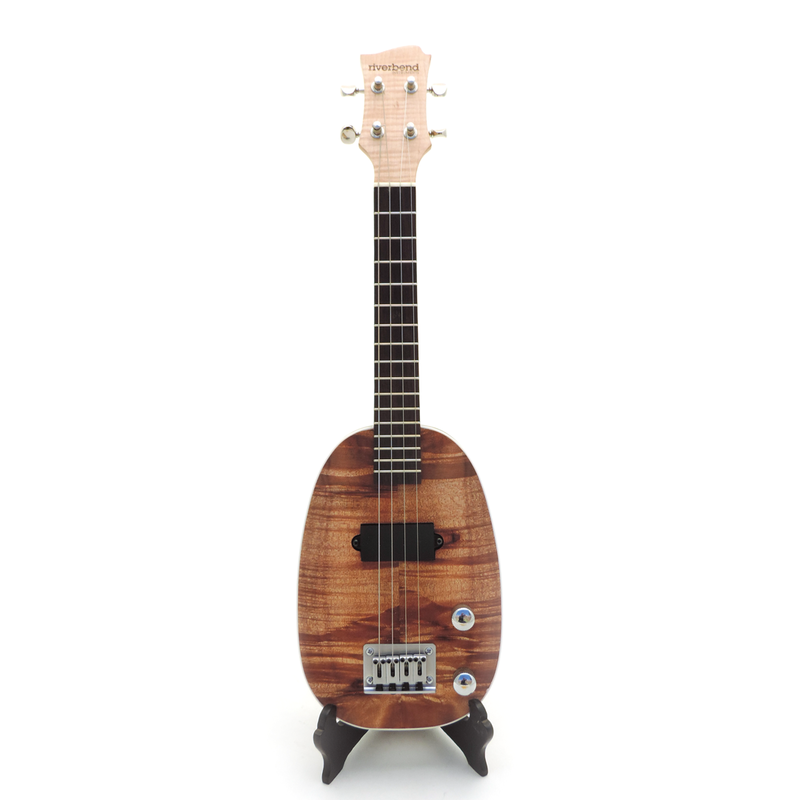 I really like Samual Kamaka’s 1928 Pineapple soprano uke design and decided to try my own take on that design. I sketched the shape and layed out the design with a few modifications. I lengthened the scale to 13.75″ and extended the fretboard to 16 frets. 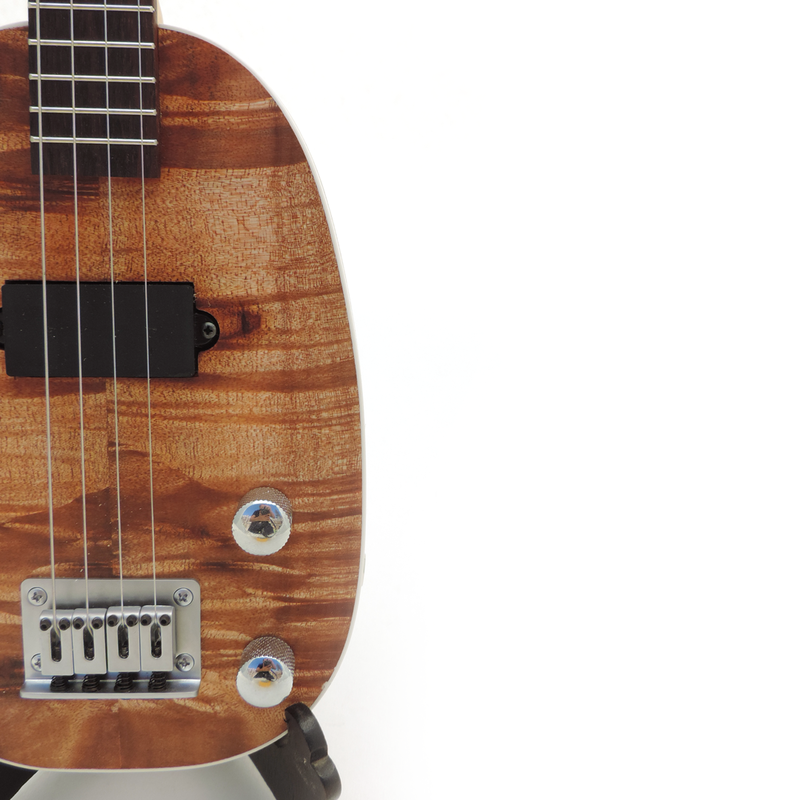 Of course I also made it a solid body electric with steel strings and magnetic pickups. 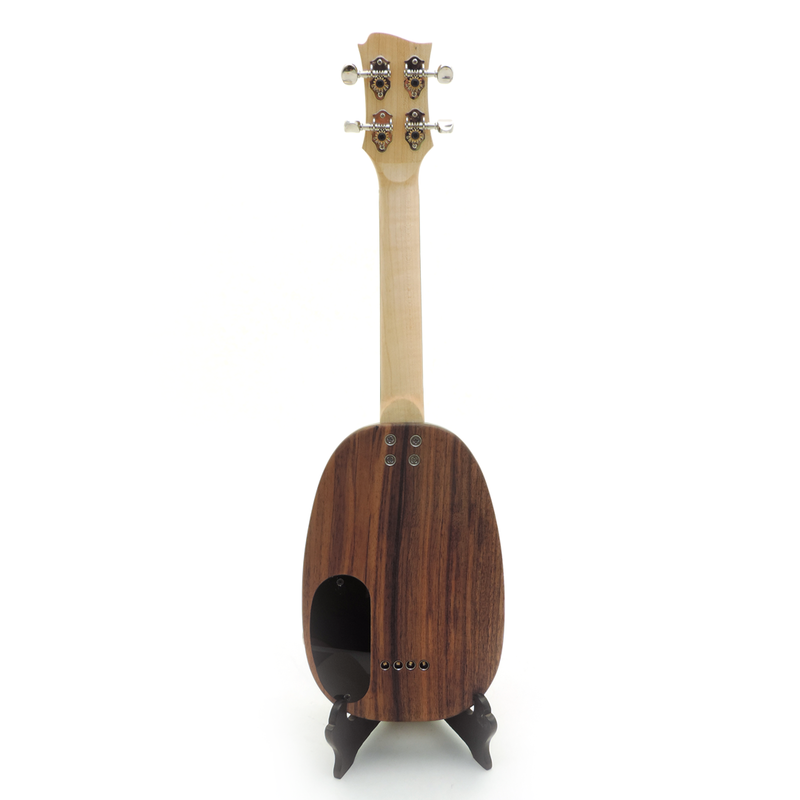 On this uke I chose to pair the koa top with a black walnut body and frame the top with a white plastic body to highlight the beautiful figure. A satin bridge, chrome knobs, and a single coil pickup finish the build nicely. This was a really fun build and it was a ton of fun watching people check it out and place bids during the silent auction. I’m glad to have been a part of supporting Rise up and supporting getting more ukes in kid’s hands. This body shape is currently discontinued, but fan still be custom ordered.